Acquisition of new headquarters for S$72.8m, at valuation. APAC Realty has proposed to acquire a commercial property located at Lorong 6 Toa Payoh, Singapore, for S$72.8m, based on the current valuation price. The property will serve as the headquarters of ERA Asia Pacific, and a permanent place of business for the group to provide enhanced facilities for ERA’s agency operations, including new office space for agents and improved training areas. This is part of the group’s expansion strategy and will provide existing and new agents with further training and development opportunities. Completion is expected by end August. The property has 2,597 square metres of lettable floor area, including retail and auditorium space, as well as three levels of office space. It is currently about 90% occupied. Going forward, APAC intends to retain about 50% of the space for its own use, including sub-leasing out to its own agents, and the balance leased out to third parties. APAC will still retain its current office space at Mountbatten. Financed by cash + debt; dividend payout not affected. The purchase consideration will be funded by a combination of internal funds (including IPO proceeds) and bank financing, likely in the 20:80 proportion. The bank loan, which is of longer tenure, should not affect the group’s ability to maintain its expected 60% dividend payout ratio given its highly cash generative business. Slight positive impact on earnings; expect improvement over time. Assuming the transaction had been completed on 1 January 2017, net earnings is expected to increase by 0.9% - mainly from current rental income, offset by interest expense and a switch to fair value accounting for this investment property, vs current method of depreciating the book value of the property over 50 years. The positive financial effect will improve but will not have a material impact on the group’s results for FY18, as there is still room for rental income to increase. 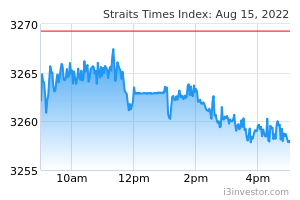 No change to forecast; reiterate BUY, Target Price: S$1.32. Given the minimal impact on the bottomline, we maintain our FY18F and FY19F earnings. 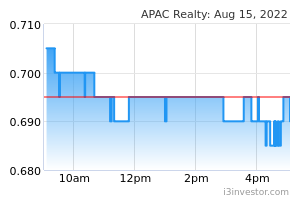 APAC is currently trading at attractive valuations of 10.9x FY18F PE and 10.1x for FY19F, as APAC Realty share price has corrected by about 30% from its peak in March 2018. Reiterate BUY, Target Price: S$1.32. We expect a better 2H2018 as APAC has a pipeline of more than 11,000 units across 20 new project launches till 3Q18 compared to only about six projects launched so far.